Please note: All workshops allow students to receive 14 hours of “Continue Education Credit” hours through Yoga Alliance. practice is increased. Offered to those of all levels. Students are introduced to the anatomy of a universe that dwells within the physical form. Yoga affects us beyond the physical level and the more that a student can understand how it affects us, the more the student is able to appreciate the nuances in their practice. It is this attention that raises the level of a practice from beginner and intermediate to advanced. Teachers and students will appreciate knowing this material. Day one introduces the students to the outline of the Koshas, the value of Mantra and how the mind works with meditation. It ends with instruction on the Prana Vayus, how to read Vayu weakness in fellow students, and a yoga practice to feel the effect of the Vayus in the yoga poses. Day Two moves to the Nadis and Chakras, spending more time on the energy of the Chakras. 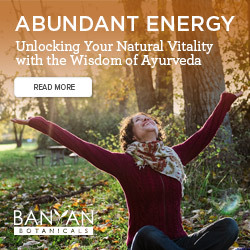 It ends with a yoga practice using modalities of the Chakras in poses to help unlock energy and/or increase energy, to heighten the yoga experience. The session ends with a meditation on the Chakras. The terrain of meditation is often scary, vague and lonely, which leaves many of us concluding that we just can’t fit in. Before trying to still the mind, you will learn about the variable aspects that make up the mind and how each operates. Then, students will learn the art of concentration, known as Dharana, which is necessary before accessing the sublime journey of meditation. We will practice a variety of methods to cultivate Dharana and learn how to teach this to fellow students. Through this concentration, students will learn how to allow the space of meditation, Dhyana, to reveal itself. We will start with some lecture, application of a number of different meditation techniques and time for questions. We will end in a longer guided meditation to close the day. This workshop is open to yoga teachers, meditation teachers, and devoted yogis. 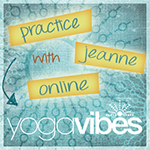 Jeanne will be addressing how to teach meditation to students and how to work with the variety of reactions to meditation.